As the world’s population is projected to reach 10 billion or more by 2100, devastating fossil fuel shortages loom in the future unless more renewable alternatives to energy are developed. Bioenergy, in the form of cellulosic biomass, starch, sugar, and oils from crop plants, has emerged as one of the cheaper, cleaner, and environmentally sustainable alternatives to traditional forms of energy. Handbook of Bioenergy Crop Plants brings together the work of a panel of global experts who survey the possibilities and challenges involved in biofuel production in the twenty-first century. Section One explores the genetic improvement of bioenergy crops, ecological issues and biodiversity, feedstock logistics and enzymatic cell wall degradation to produce biofuels, and process technologies of liquid transportation fuels production. 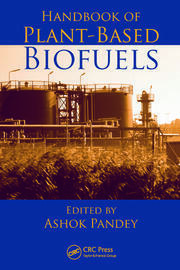 It also reviews international standards for fuel quality, unique issues of biofuel-powered engines, life-cycle environmental impacts of biofuels compared with fossil fuels, and social concerns. Section Two examines commercialized bioenergy crops, including cassava, Jatropha, forest trees, maize, oil palm, oilseed Brassicas, sorghum, soybean, sugarcane, and switchgrass. 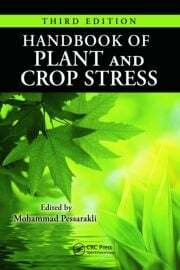 Section Three profiles emerging crops such as Brachypodium, diesel trees, minor oilseeds, lower plants, Paulownia, shrub willow, sugarbeet, sunflower, and sweet potato. 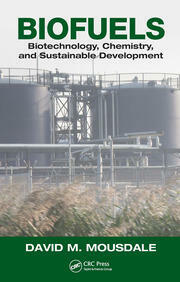 It also discusses unconventional biomass resources such as vegetable oils, organic waste, and municipal sludge. 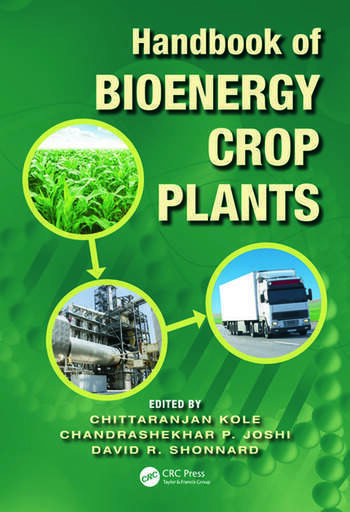 Highlighting the special requirements, major achievements, and unresolved concerns in bioenergy production from crop plants, the book is destined to lead to future discoveries related to the use of plants for bioenergy production. It will assist in developing innovative ways of ameliorating energy problems on the horizon. Professor Chittaranjan Kole, Director of Research of the Institute of Nutraceutical Research at the Clemson University, is an internationally renowned scientist with over 27 years of experience in teaching and research on plant genetics, genomics, and biotechnology. He has guided 30 research students and published more than 140 research articles, most of which appeared in the leading peer-reviewed journals and proceedings of international meetings. Several of his pioneering contributions, particularly on molecular evolution of flowering time, stress-related and highly repetitive genes, have paved the way for several new avenues for fellow scientists. His scientific contributions and edited books have been appreciated by several leading scientists including seven Nobel Laureates. Professor Chandrashekhar Joshi is a plant molecular geneticist in the School of Forest Resources and Environmental Science (SFRES) at the Michigan Technological University. He has 30 years of research experience in plant molecular biology. His current research focuses on wood cell wall development in bioenergy trees, with particular emphasis on unraveling the process of cellulose synthesis for improved bioenergy production. He teaches courses in genomics, molecular genetics, bioinformatics, and grantsmanship. He has authored over 160 publications and presentations, four patents and two books. Professor David Shonnard has been on the faculty in the Department of Chemical Engineering at Michigan Technological Universitysince 1993. His current research interests focus on investigations of new forest-based biorefinery processes for production of transportation fuels (such as cellulosic ethanol) from woody biomass using recombinant DNA approaches. Another active research area is life-cycle assessment (LCA) of biofuels and other biorefinery products to determine greenhouse gas emissions and net energy balances.